The world is becoming increasingly urban. For the first time in history, more than 50% of human beings live in cities (United Nations, Department of Economic and Social Affairs, Population Division, ed. (2015)). Rapid urbanization is often chaotic and unstructured, leading to the formation of informal settlements or slums. Informal settlements are frequently located in environmentally hazardous areas and typically lack adequate sanitation and clean water, leading to poor health outcomes for residents. In these difficult circumstances women and children fair the worst, and reproductive outcomes for women living in informal settlements are grim. Insufficient uptake of antenatal care, lack of skilled birth attendants and poor-quality care contribute to maternal mortality rates in informal settlements that far outpace wealthier urban neighborhoods (Chant and McIlwaine (2016)). In response, a birth center model of maternity care is proposed for informal settlements. Birth centers have been shown to provide high quality, respectful, culturally appropriate care in high resource settings (Stapleton et al. J Midwifery Women’s Health 58(1):3–14, 2013; Hodnett et al. Cochrane Database Syst Rev CD000012, 2012; Brocklehurst et al. BMJ 343:d7400, 2011). In this paper, three case studies are described that support the use of this model in low resource, urban settings. I would like to extend my sincere gratitude to Drs. Nauruj Jahan and Tamjida Hanfi Sohni of BRAC for their help in introducing me to the Manoshi Project and their continued generous support over the years. In addition, I am very grateful for the knowledge and assistance of Dr. Afsana Kaosar of BRAC. Lastly, I am indebted to Dr. Henry Perry, for his enthusiastic support and advice. UN Habitat, ed. Urbanization and development: Emerging futures. World Cities report 2016. Nairobi, Kenya: United Nations Human Settlements Programme; 2016. http://wcr.unhabitat.org/main-report/#section_eleven. Accessed February 23, 2018. UN-Habitat, ed. The challenge of slums: Global report on human settlements. Nairobi, Kenya: UN-Habitat; 2003. http://mirror.unhabitat.org/pmss/listItemDetails.aspx?publicationID=1156. Accessed March 1, 2018. Gilbert A. The return of the slum: does language matter? Int J Urban Reg Res. 2007;31(4):697–713. https://doi.org/10.1111/j.1468-2427.2007.00754.x. Save the Children. State of the world's mothers 2015. The urban disadvantage. 2015. http://www.savethechildren.org/atf/cf/%7B9def2ebe-10ae-432c-9bd0-df91d2eba74a%7D/SOWM_2015.PDF. Accessed July 30, 2015.
WHO, UN-Habitat, eds. Hidden cities: Unmasking and overcoming health inequities in urban settings. Geneva, Switzerland: WHO, The WHO Centre for Health Development and United Nations Human Settlements Programme (UN-HABITAT); 2010. http://www.who.int/kobe_centre/publications/hiddencities_media/who_un_habitat_hidden_cities_web.pdf. Accessed September 20, 2017. UN-Habitat, ed. State of the World’s Cities 2010/2011. Bridging the urban divide. Nairobi, Kenya: UN-Habitat; 2008. https://unhabitat.org/books/state-of-the-worlds-cities-20102011-cities-for-all-bridging-the-urban-divide/. Accessed March 1, 2018. McNab S, Freedman L, eds. 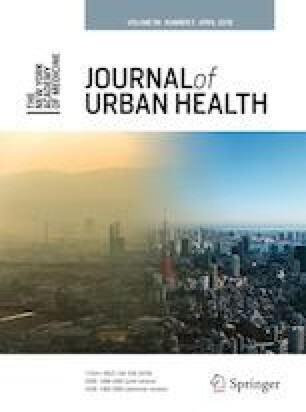 Maternal newborn health and the urban poor: A global scoping. New York, New York: Columbia University Mailman School of Public Health; 2016. http://www.healthynewbornnetwork.org/hnn-content/uploads/AMDD-Urban-MNH-Report_July-20-2016-Final-Report.pdf. Accessed July 6, 2017. Coast E, McDaid D, Leone T, et al. What are the effects of different models of delivery for improving maternal and infant health outcomes for poor people in urban areas in low income and lower middle-income countries? 2012. http://eprints.lse.ac.uk/41908/1/What_are_the_effects_of_different_models_of_delivery_for_improving_maternal_and_infant_outcomes_for_poor_people_in_urban_areas_in_low_income_and_lower_middle_income_countries_%28LSERO%29.pdf . Accessed November 5, 2015. Devasenapathy N, Ghosh Jerath S, Allen E, Sharma S, Shankar AH, Zodpey S. Reproductive healthcare utilization in urban poor settlements of Delhi: Baseline survey of ANCHUL (ante natal and child health care in urban slums) project. BMC Pregnancy Childbirth. 2015;15:212. https://doi.org/10.1186/s12884-015-0635-8. APHRC, ed. Because labor won't wait...harnessing the potential of public-private partnerships for better maternal, newborn and child health in urban informal settlements in Kenya. Nairobi, Kenya: The African Population and Health Research Center; 2014. http://aphrc.org/archives/publications/because-labor-wont-wait. Accessed February 13, 2017.
WHO. Strengthening nursing and midwifery. 2011; WHA 64.7 (64th World Assembly). http://apps.who.int/gb/ebwha/pdf_files/WHA64/A64_R7-en.pdf?ua=1. Accessed March 10, 2018.
International Confederation of Midwives. ICM international definition of the midwife. http://www.internationalmidwives.org/who-we-are/policy-and-practice/icm-international-definition-of-the-midwife/. Updated 2017. Accessed February 10, 2017. Kyobutungi C. Accessing maternal health care services in urban slums: What do we know? Sound recording. April 19, 2011. https://www.wilsoncenter.org/event/accessing-maternal-health-care-services-urban-slums-what-do-we-know. Accessed May 25, 2017. Das S, Bapat U, More NS, Chordhekar L, Joshi W, Osrin D. Prospective study of determinants and costs of home births in Mumbai slums. BMC Pregnancy Childbirth. 2010;10:38. https://doi.org/10.1186/1471-2393-10-38. WHO, ed. WHO recommendations: Intrapartum care for a positive childbirth experience. Geneva, Switzerland: World Health Organization; 2018. http://apps.who.int/iris/bitstream/10665/260178/1/9789241550215-eng.pdf. Accessed March 13, 2018.
International Confederation of Midwives. International code of ethics for midwives. 2014. http://internationalmidwives.org/assets/uploads/documents/CoreDocuments/CD2008_001%20V2014%20ENG%20International%20Code%20of%20Ethics%20for%20Midwives.pdf. Accessed March 10, 2018. Jolly SP, Chowdhury TR, Quayyum T, et al, eds. Role of BRAC maternity and delivery centres in urban community in improving maternal and newborn health. Research Monograph Series 70 ed. Dhaka, Bangladesh: BRAC Research and Evaluation Division; 2017. http://research.brac.net/new/all-monographs/role-of-brac-maternity-and-delivery-centres-in-urban-community. Accessed March 12, 2018. Khan M, Ahmed S. The "Birthing Hut" facilities of Manoshi. 2009; Working Paper No.7. http://dspace.icddrb.org/jspui/bitstream/123456789/6733/1/Manoshi-WP07.pdf. Accessed November 13, 2015. Kaosar A, Alam A, Chowdhury M, et al. MANOSHI. A programme for improving maternal, neonatal and child health in the urban slums of Bangladesh. 2007; Working Paper No.1. http://dspace.icddrb.org/jspui/bitstream/123456789/6726/2/Manoshi-WP01.pdf. Accessed October 26, 2015. Banu M, Nahar S, Nasreen HE. Assessing the MANOSHI referral system. addressing delays in seeking emergency obstetric care in Dhaka's slums. 2010; Working Paper No.10. http://dspace.icddrb.org/jspui/bitstream/123456789/6736/1/Manoshi-WP10.pdf. Accessed March 27, 2017. Alam N, Begum D, Ahmed S, Streatfield P. MANOSHI COMMUNITY HEALTH SOLUTIONS IN BANGLADESH. Impact evaluation surveys in Dhaka urban slums 2007, 2009 and 2011. 2011; Scientific Report No.118. http://dspace.icddrb.org/jspui/bitstream/123456789/6779/1/Manoshi%20Evaluation%20Surveys%20Report11_Final.pdf. Accessed November 13, 2015. Socorro De los Santos M. ed. Report on documentation and evaluation of urban HEART pilot in the Philippines. WHO; 2013. http://www.who.int/kobe_centre/publications/Philippines.pdf. Accessed February 26, 2018. Mercy in Action. Mercy in Action- Philippines clinic. http://www.mercyinaction.com/philippines-clinic. Accessed March 13, 2018. Shakibazadeh E, Namadian M, Bohren MA, et al. Respectful care during childbirth in health facilities globally: A qualitative evidence synthesis. BJOG. 2017; https://doi.org/10.1111/1471-0528.15015. WHO. Midwives' voices, midwives’ realities. Findings from a global consultation on providing quality midwifery care. Geneva, Switzerland. 2016. Crawford S., Taylor G and McConville F., eds. http://apps.who.int/iris/bitstream/10665/250376/1/9789241510547-eng.pdf?ua=1. Accessed February 13, 2017.